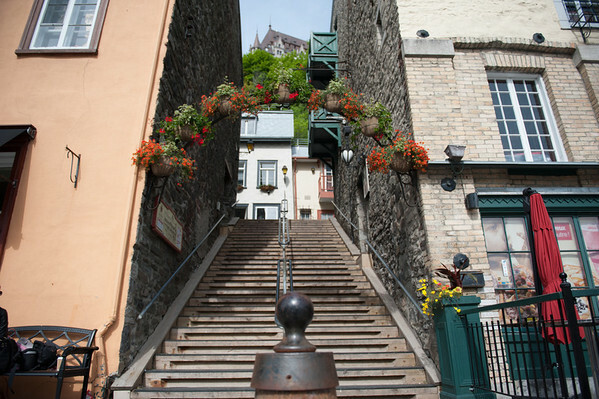 A business trip took me to Quebec City, and I stayed several more days on my own, touring, shopping, eating, practicing my French, and shooting these images. Yet another staircase, this one connecting the Rue Champlain to the Boulevard Champlain. The roof of the Chateau Frontenac, in the Upper City, is visible at the top of this image.